I hope you all have spent a good Christmas, gathered with family and friends, around good food. I have a break from school now so I’m taking the opportunity to bake, and experience what I have learned at school. 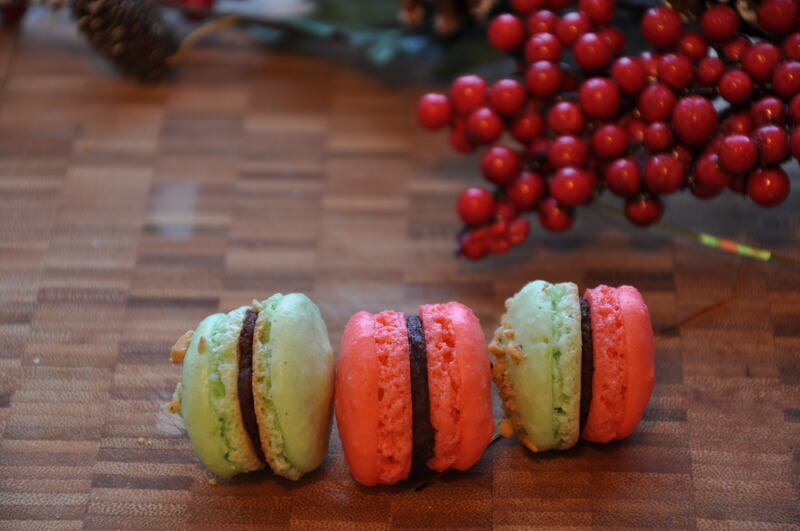 I have tried different batches of macarons, fruit cakes, raisin bread, jam cookies…. and I can say that the outcome was amazing. Now my husband and I are going to spend a week in Montreal with some friends, and I have taken some goodies for everyone. I’ll see you with more posts in 2015. 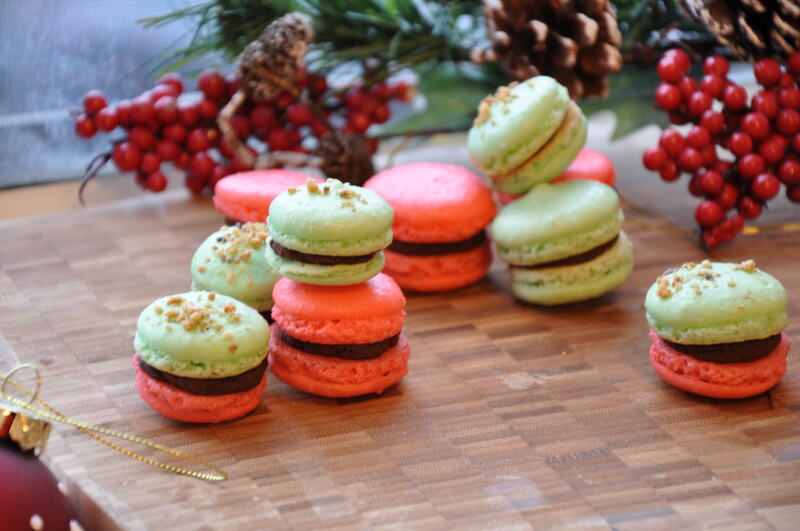 Enjoy your festivities and indulge yourself with good food. Today is a great day, may this day bring you joy and a fresh new beginning of sharing and exploring and I want to wish you all a Happy Easter. 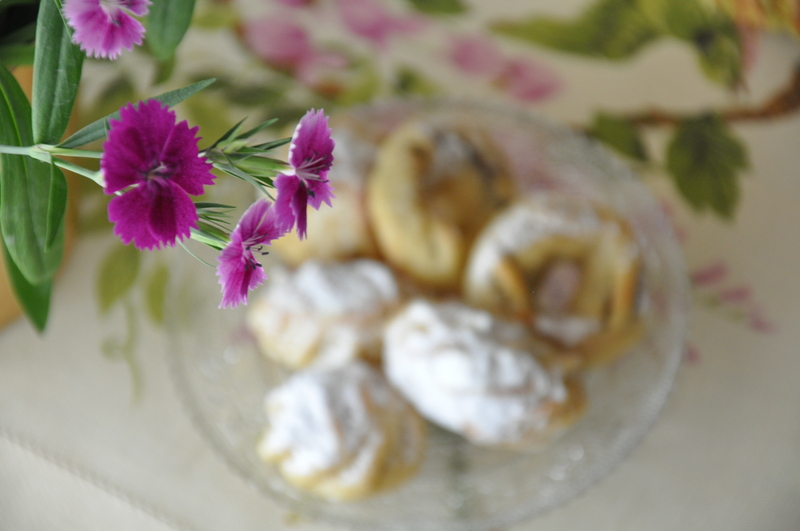 In Lebanon we have a tradition that comes along during this miraculous holiday, baking holiday sweets, “Maamoul” a recipe I have posted a couple of years ago. 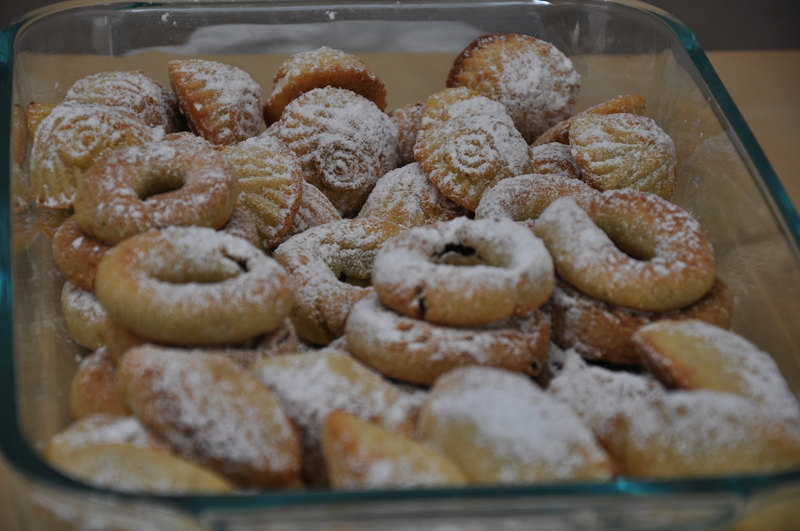 The difference this year is that, I used to help mom preparing the maamoul, this time I did it myself, of course with the help of my husband in moulding and shaping the maamoul. 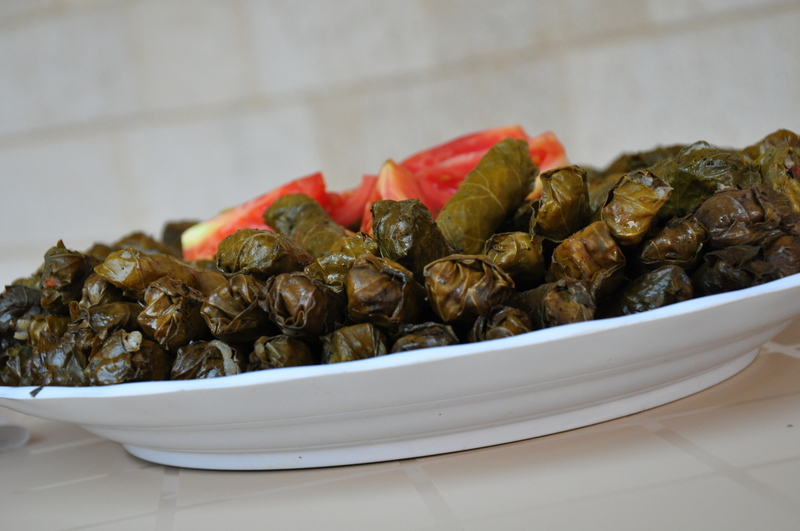 And they turned out to be just amazing, delicious and easy to prepare. 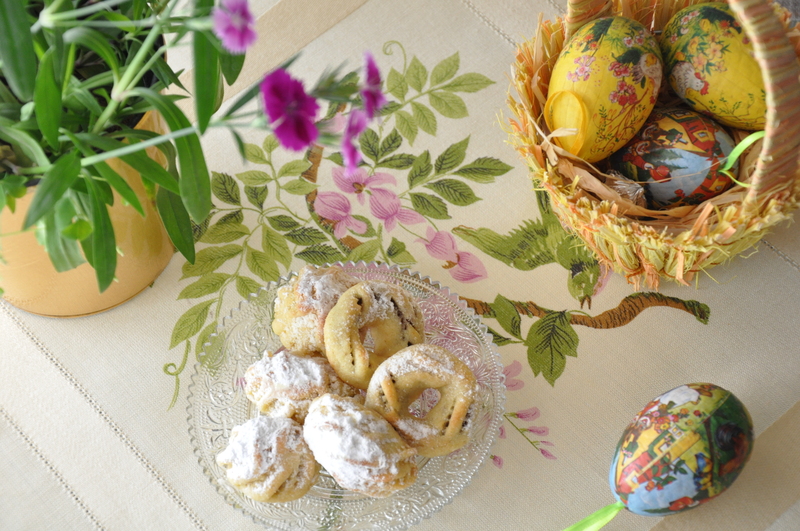 What about you, what did you bake this Easter? 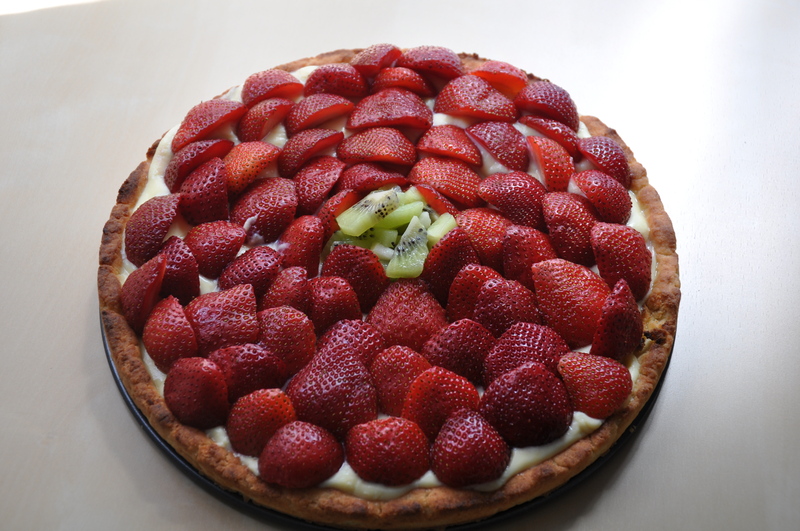 As we were invited for lunch today, I prepared this strawberry tart, since I prefer, and like, the home-made desserts. The crust is more like a crostata with crème patissière. I loved it. 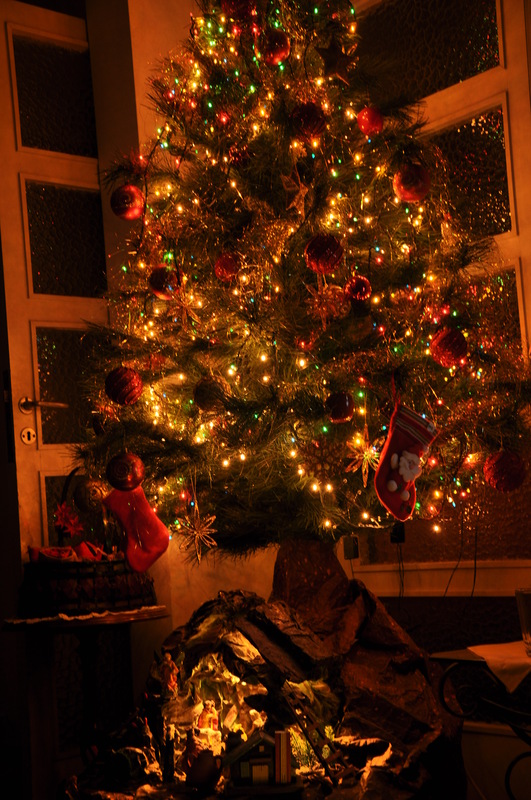 I wish a happy holidays for everyone and hope this Christmas and 2014 bring peace of mind, joy and good health. Hope this Christmas brings joy, peace of mind and good health to everyone. Our Christmas Eve’ was smooth, cool, and beautiful. As every year, I prepare the dessert. The bûche de Noêl. And some chocolate truffles. All was very good and delicious. 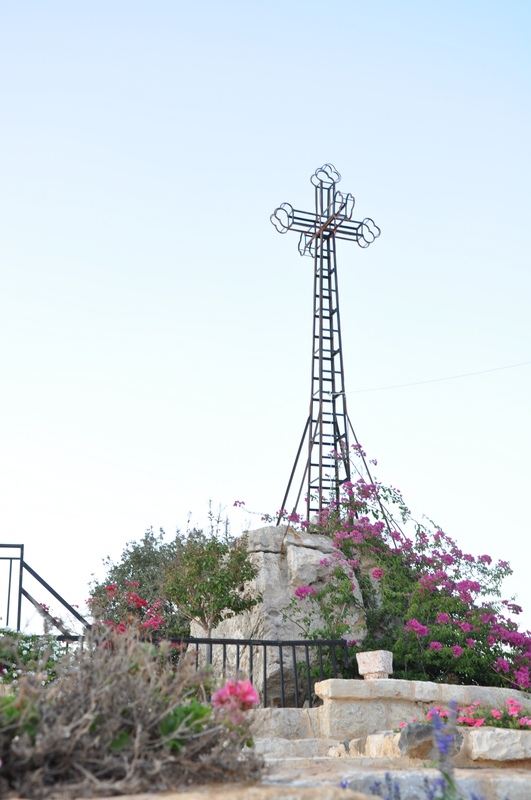 Like every year, celebrations take place in Deirmimas on the occasion of Saint Mama’s holiday and the Cross’s holiday. 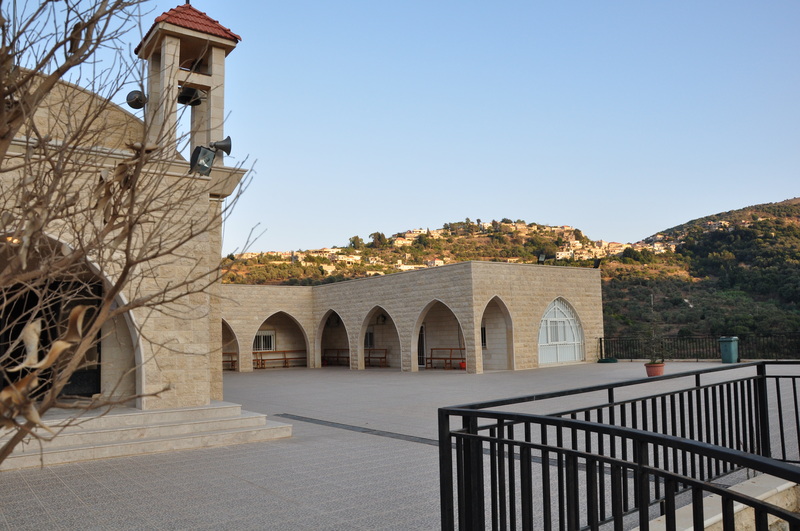 Masses are held at the ” Deir” the Convent situated on a hill and facing the mountain and the litani river. 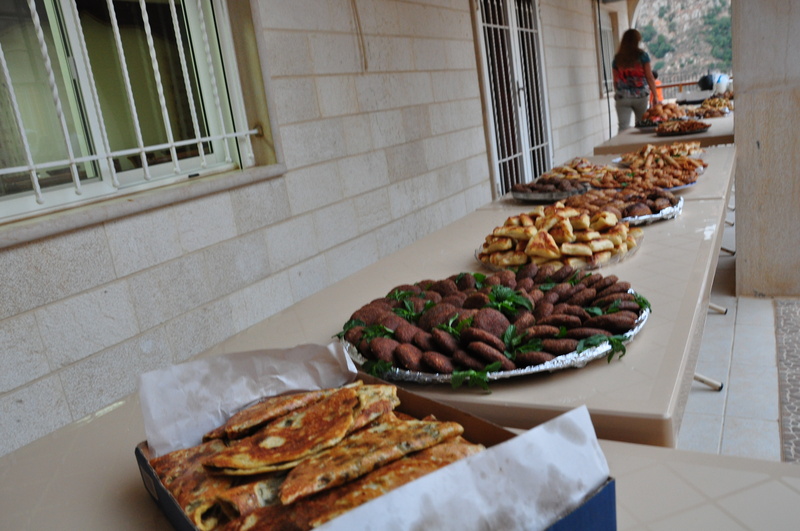 Villagers meet, talk and gather over a nice array of food that many housewives have prepared. I have done few batches of maacroun. 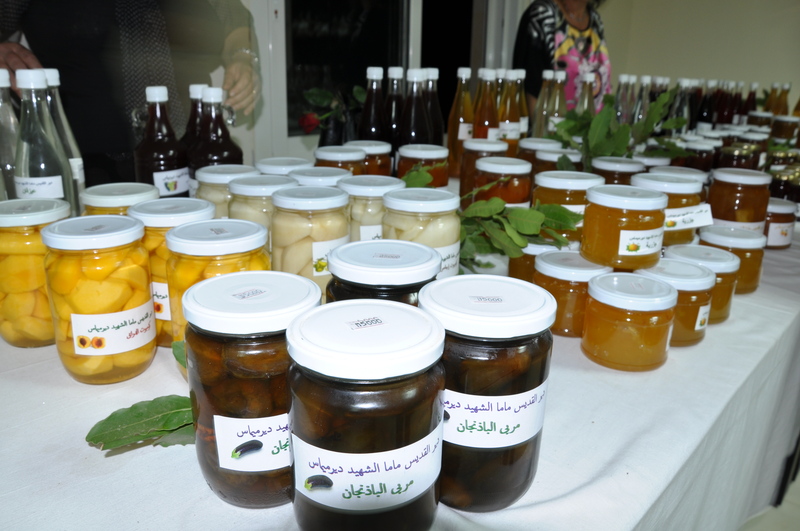 There was also an exhibition of food preserves and artisanat, also prepared by the villagers. 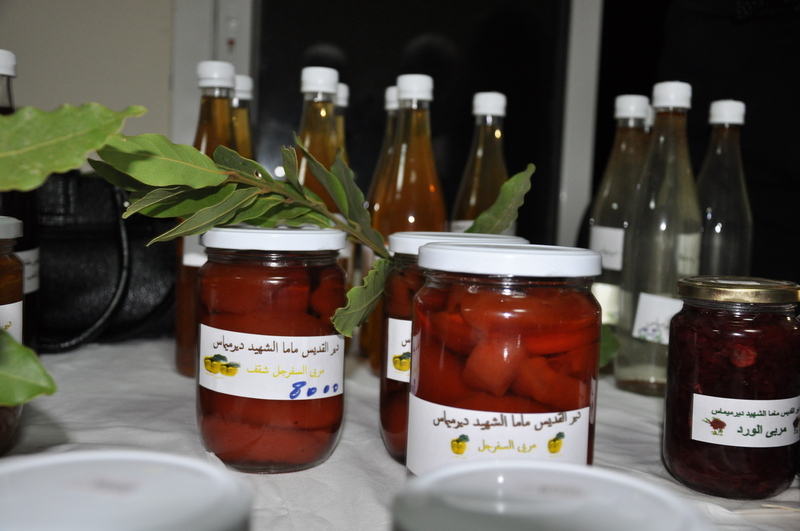 there were different kind of preserves: jams of different fruits, fruit preserves such as eggplant, quince, squash…. 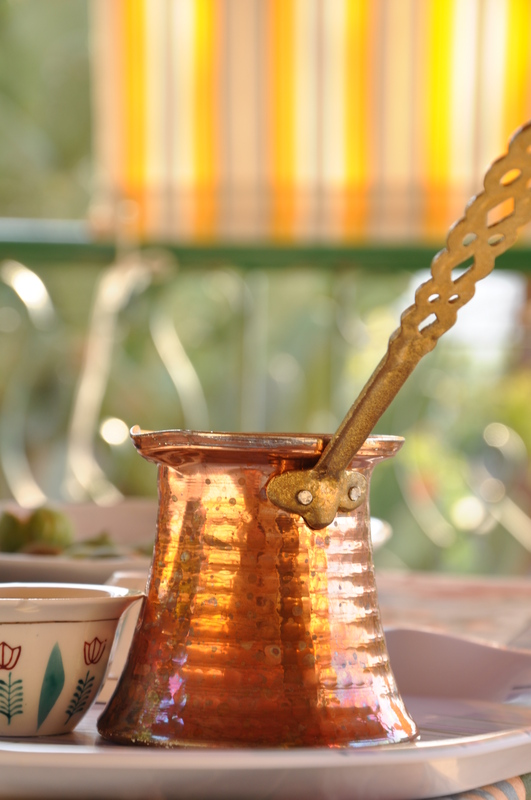 honey (I bought one, very delicious)… orange blossom water, rose water, pomegranate mollasses. I wish a Happy New Year to all of you. 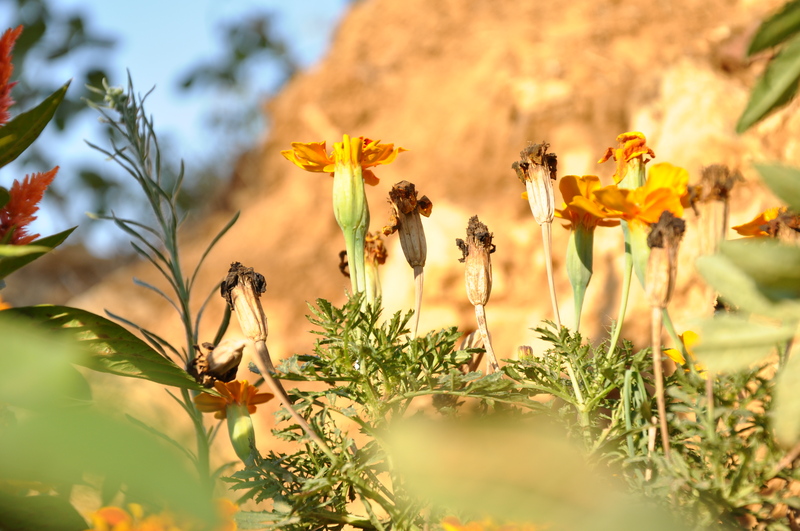 May 2012 brings peaceful mind, happiness, good health. A better year than 2011. 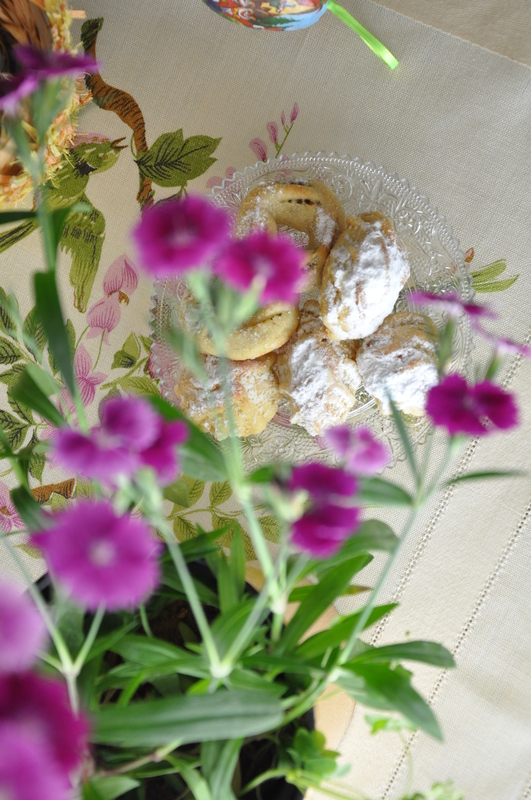 And hope you celebrated your evening with good laughters, good company and of course yummi food. 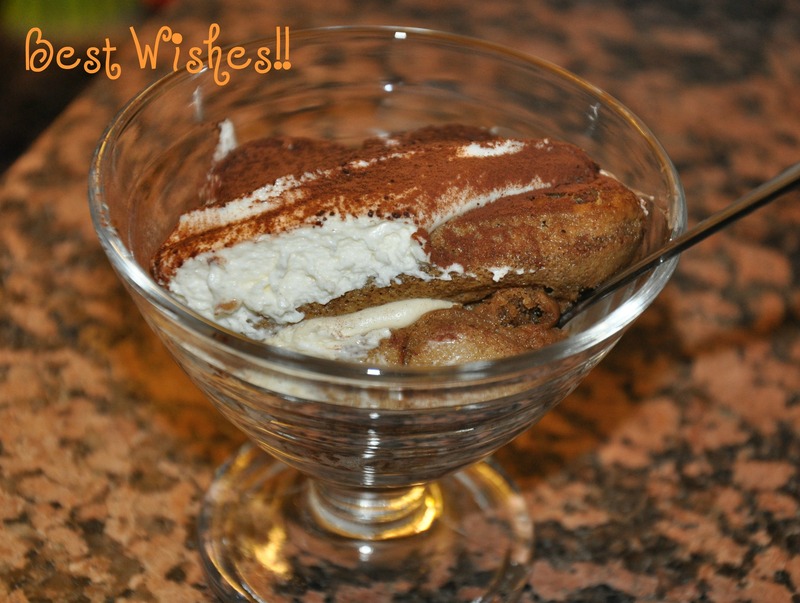 I could’nt not think of a better dessert to celebrate the begining of a New Year than a Tiramisu, with the hope of a new year that would be as sweet and beautiful as the tiramisu. My best dessert, ever. Merry Christmas to you all. Hope this holiday brings Joy, Peace & Serenity to you all. Wish you enjoyed your evening, celedrated it with your beloved ones. Enjoyed the food, the gathering, the laughters, the talks and the gifts. I also enjoyed preparing all the food, baking, and dressing. I enjoyed preparing the bûche de noël , with cherries filling. As well as the guests enjoyed tasting it. I also did the almond filling bûche. I love that time of year. Christmas time is the best time celebrated, of the year. 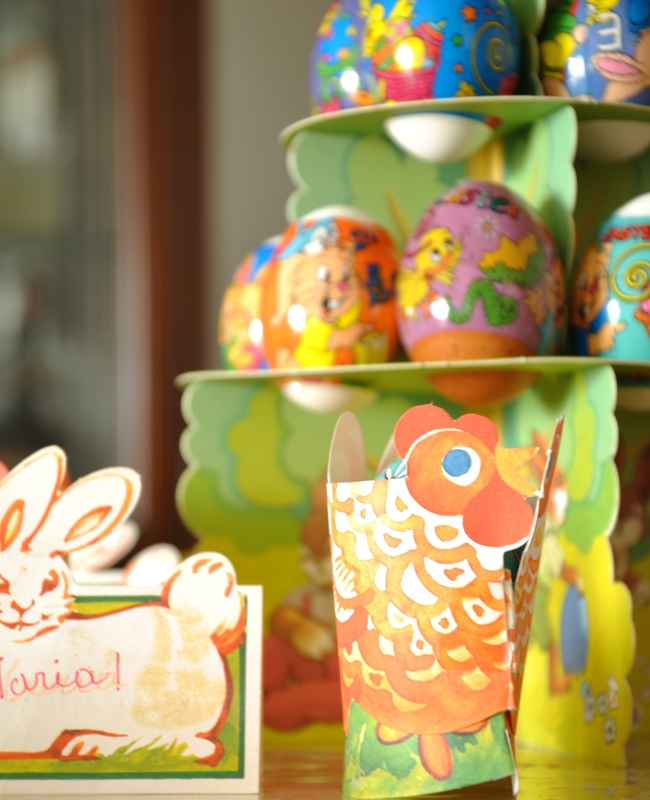 With all the preparations, the food and sweets bakings, the gifts shopping. It’s a magical time. 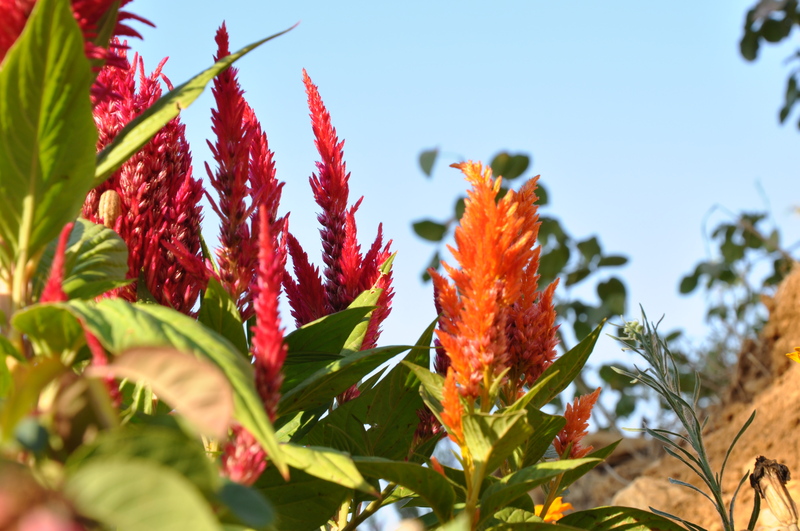 Spend time with all the family, parents, sister, husband, aunts, cousins, uncle…. it is my favourite gathering. 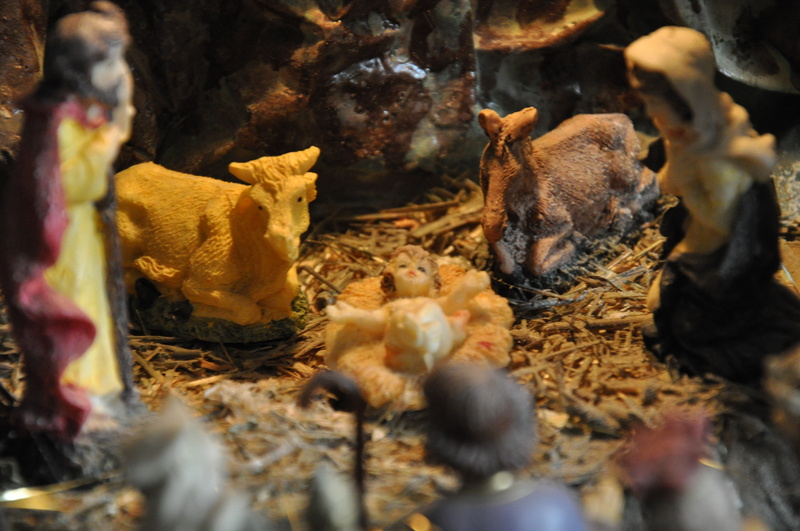 The meaning of Christmas is all around. At homes, in the streets, in schools, in the stores… in the spirits…. Hope these holidays bring joy and peace to our hearts. 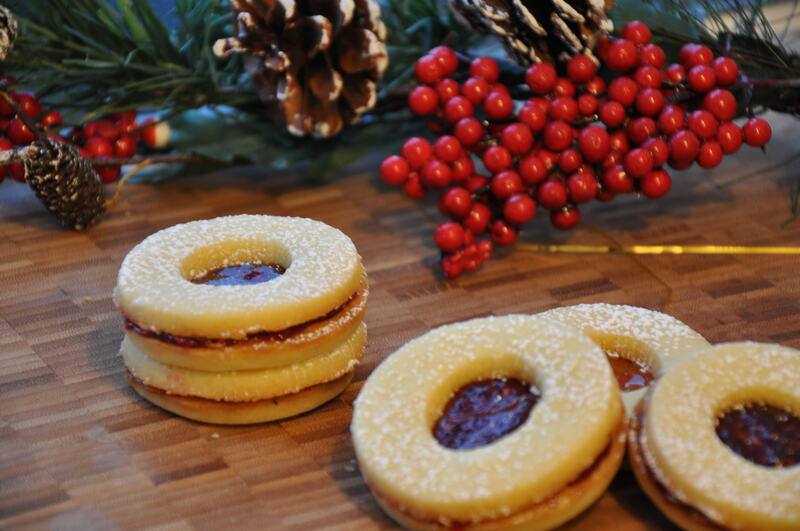 For me, Christmas couldn’t pass by without some bakings. 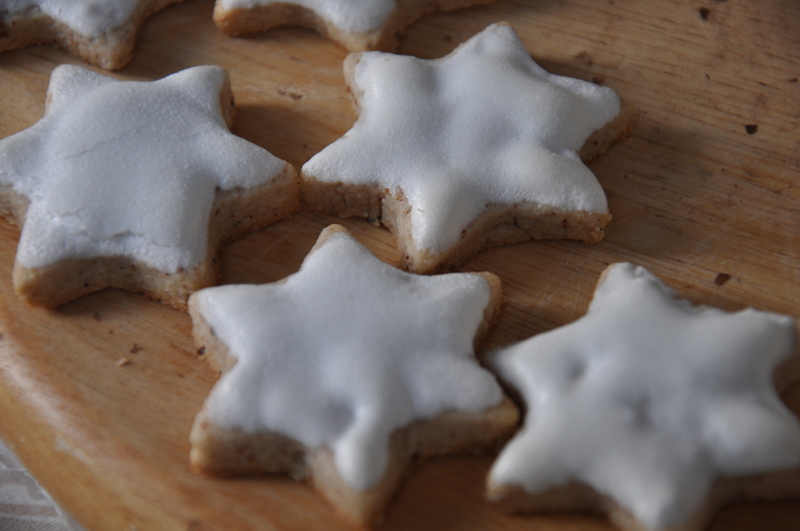 Last week I did some gingerbread cookies. 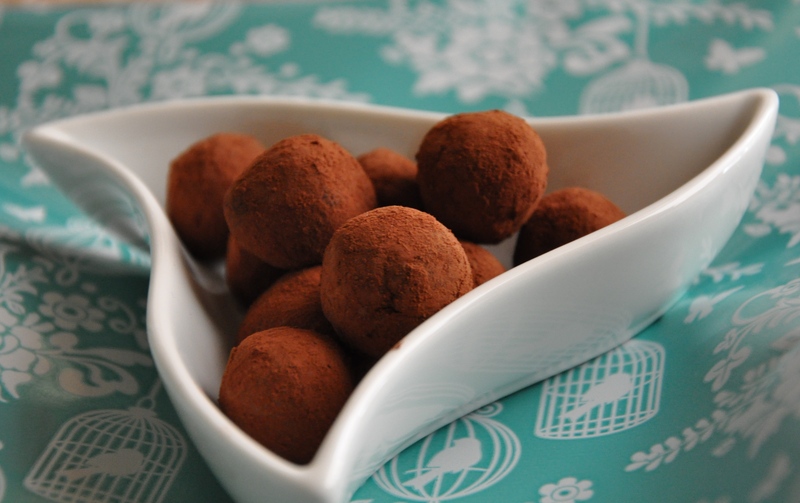 And Last night I prepared some chocolate truffles with Tia Maria, and this morning coated them with cocoa powder. 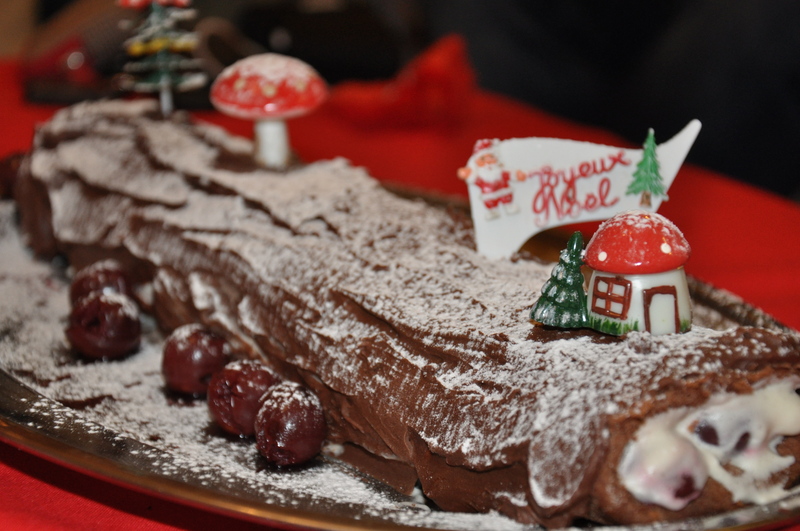 And of course, the favourite dessert at christmas is the bûche de Noêl. I’m making two different yule logs tomorrow. Of course, I’ll be posting about it. For the truffles, I chopped 100 g dark chocolate (70%), and poured over 100 ml boiled cream, let it set for 30 seconds, added 1/2 teaspoon Tia Maria ( of course, you can add the liqueur you want) and stired until all the chocolate is melted. 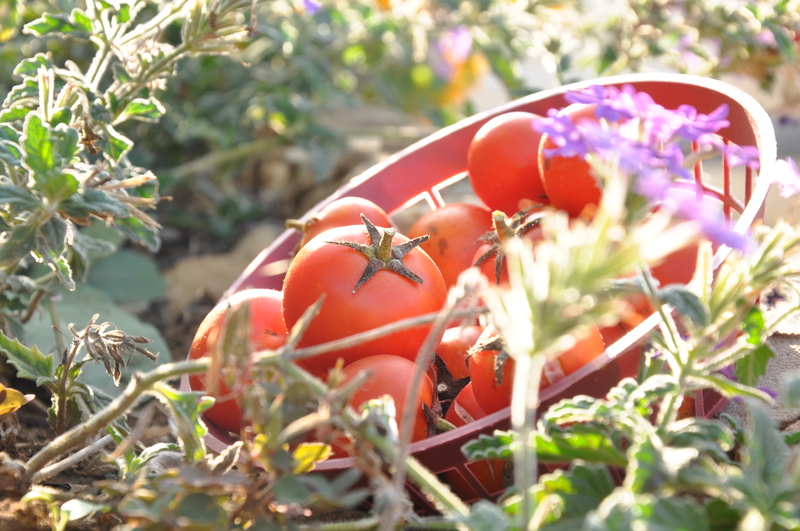 Let cool completely before refrigerating. The next day, I spooned some of the batter between my palms and made small balls then rolled them on a parchement paper sprinkled with cocoa powder. Until all the truffles are well coated with cocoa. Put in a container and refrigerate till serving. Enjoy.